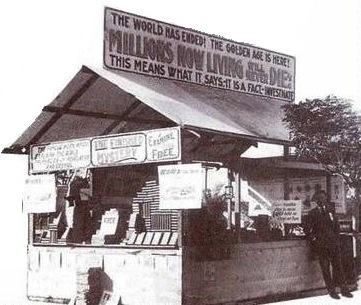 In 1918, Rutherford exclaimed in a series of public lectures, “Millions now living will never die!” This was related to his prophecy that the resurrection would commence on earth in 1925, with the return of Abraham, Isaac and Jacob to earth. This article provides quotes regarding this failed doctrine of Rutherford, and shows how in recent times the Watchtower dishonestly presents this historical episode. Click Here to download a 32Mb searchable PDF of the 1920 booklet “Millions Now Living Will Never Die”. Largely unknown by most Jehovah’s Witnesses today, this was the focus of the Watchtower preaching work between 1918 and 1925. Reading the brief mention of this booklet in the Proclaimers book, one could be mistaken for thinking 1925 was of little relevance in the history of Jehovah’s Witnesses; yet this was the defining prophecy of Rutherford’s leadership. “Millions Now Living Will Never Die!” introduced Rutherford’s prediction that the earthly resurrection was to begin in 1925, starting with the faithful men of old, men such as Abraham, Isaac and Jacob. “The year 1926 would therefore begin about October first, 1925. … We should, therefore, expect shortly after 1925 to see the awakening of Abel, Enoch, Noah, Abraham, Isaac, Jacob, Melchisedec, Job, Moses, Samuel, David, Isaiah, Jeremiah, Ezekiel, Daniel, John the Baptist, and others mentioned in the eleventh chapter of Hebrews. 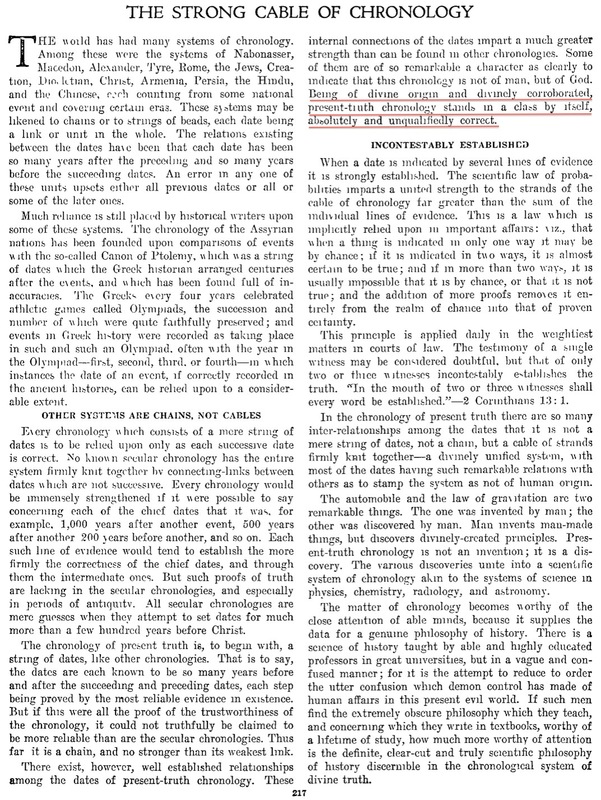 Rutherford wrote that his chronological predictions were “of God” himself and 1925 was proclaimed a “fixed” date beyond doubt. Let it be clearly understood that the leaders of the WTS were fully endeavored to attract attention to their own printed literature and were focused intentionally to promote the continuing distribution of that literature. I also think they intentionally exploited the basic belief in the bible within the given general population. They were under no regulation by any higher overseeing body of religious authority or secular law to what they came up with or publicly proliferated. AWAKE! May 22, 1969 telling young people this system will not last long enough for them to get educated, career etc. ThomasCovenant: ''The terrible persecution of Jehovah’s witnesses by Hitler, worse than that he inflicted on the Jews, took place.'' WT 1966 15th Oct page 635.
gone for good: Though the information is obviously false, it would not stand in court as a deliberate lie. However, if we could film the reactions of elders being presented with this quote, I would imagine more than a few would ask if we got it from apostate sources. The reaction of Watchtower representative to the truth would, in my opinion, serve to demonstrate the watchtower's willingness to suppress or ignore the truth. The reaction of Watchtower representative to the truth would, in my opinion, serve to demonstrate the watchtower's willingness to suppress or ignore the truth. Yes and when one reflects upon the fact the WTS was founded upon lies right from its very beginning in the late 1800's and that there is a continuance of ignoring or suppressing the truth in time forward. It all comes together in realizing the inherent corruption of this religious organization from its foundational core.. Most Jehovah's witnesses claim they never made false prophecies. However a statement such as quoted by Finkelstein above demonstrates that this is not true. Unfortunately, I cannot find a quote that actually says: "We have never made false prophecies". It seems that the watchtower is very agile with this. For instance, the WT of November 1st 1993 does not deny the belief in 1925, however, it goes in so little details that no one would guess that they made such strong statements as the one quoted above. This is somewhat of a gray zone that would not hold up in court. On the other hand, I believe the following, if properly documented, could be presented to court: The reactions of various elders (Watchtower representatives) when presented with the quote above. I would suspect that the majority would conclude that it was obtained through apostate sites and immediately put in questions the motives of the inquirer. This type of reaction, to me, could be viewed as a deliberate attempt to ignore and conceal truthful information. Some could even deny the quote all together calling it an apostate driven lie. If we could even manage to get some people disfellowshiped as a result of this, a very strong case could be built against the watchtower. The symbolic “sun” of this world has not let up since then in its scorching of the people. To the contrary, it has grown worse. The terrible persecution of Jehovah’s witnesses by Hitler, worse than that he inflicted on the Jews, took place. This is demonstrably a lie. By contrast, thousands of European Jews can testify that one religious group in Germany underwent persecution equal to that heaped upon the Jews: Jehovah’s witnesses. Hundreds of these died in concentration camps. They suffered because of insisting on holding to and practicing true Christianity rather than worship of the State. This is false. Jehovah's witnesses were not systematically killed like the Jews. It was in fact a minority of them that were killed. Disclaimer: I have nothing but admiration for the JWs who stood up for their faith, paying the ultimate price in very often painful death. However, the Watchtower's attempt to use these martyrs to elevate their group above all others sickens me. The WTS has stated a few times that they are modren day Prophets, enlightening mankind to what is to soon come regarding the importance of 1914 and " This Generation " being witness to the prophetic end times from that year forward, that is also why it held onto the identity as the Watchtower or Awake. The organization sold itself to the public as having accurate and truthful interpretation of bible scripture ....it didn't.